Every year, we review the requirements we have made during children’s homes inspections to see if there is any learning, both for us and the sector. For the past 3 years, the requirements made have been most frequently about risk management, in particular making sure that providers are writing appropriate risk assessments for children. The term 'risk assessment' can be overused, often meaning a whole host of different things. But, as we all know, writing a complicated risk assessment does not, in itself, make a child safer. A risk assessment is usually carried out to assess whether or not it is safe for an activity to go ahead and to help plan what steps should be put in place so that children can take part safely. But, if an activity is simply too risky, whatever steps are put in place are unlikely to make it safe enough to proceed. At their best, risk assessments are dynamic and help staff to determine what action they should take to keep children as safe as they possibly can be. And by that, I mean that risk assessments must be continually reviewed to make sure that they remain necessary and effective as a situation improves or worsens. However, our inspectors sometimes see risk assessments for activities that we know are fundamentally unsafe, like children going missing, with no clear plan to manage such risks. To be effective, a risk assessment must make clear what staff should be doing to reduce the hazards children face. I’m not saying that managing risk effectively is easy. It isn’t. In children’s homes, managers have to maintain a fine balance between keeping children safe and allowing them to take proportionate risks so that they can develop the skills they need for adulthood. Often, children take risks simply because they don’t recognise that the consequences of what they do today may impact on their future. Whether that is bringing them into contact with the police, causing them serious harm, or worse. Their low self-esteem and lack of ability to recognise the difference between excitement and danger make it even more challenging to keep them safe. Other children, due to their complex needs, age or vulnerabilities, are easier to keep safe. 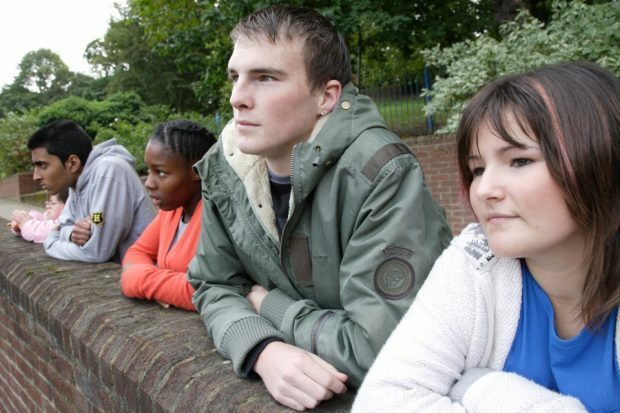 But too often inspectors see them living very restrictive lives − for example, not being allowed to take part in activities that would help them to build skills or not being allowed to have adventures. Is this because managers are worried about what an inspector might say? I hope not. Inspectors see all manner of styles and formats of risk assessments. Some are complex, some are very detailed, others less so. Inspectors frequently see very complicated risk assessments, where every possible hazard that could possibly befall a child is included but without any reference as to why that particular hazard is relevant to that child. Ofsted does not prescribe a particular format. What we are looking for, though, is the impact of that assessment on the child. Have managers accurately assessed that the child is at risk of harm? Have they identified the hazards for that particular child? And crucially, have they made arrangements to work with that child to reduce the risks? Inspectors want to see children taking part in activities, getting out into the community, developing skills and being given opportunities to enjoy pursuits that they might not otherwise get to do − taking managed risks. Carlene Firmin’s work on contextual safeguarding can really help us to think about the different situations that children find themselves in that put them at risk. It is a model which helps in risk management and takes into account how influences of different relationships affect children’s behaviours − from their peers, neighbourhoods, communities, schools and people who wish to exploit or harm them. Good risk management shows an inspector that the manager and staff understand each child, recognise the triggers for unsafe behaviour and know what steps the staff can take, and do take, to reduce harm. Above all, risk assessments have to be dynamic if they are to be an effective part of the overall plan to look after each child. I know you are working hard to keep our children safe. Carry on doing that, with the kind of risk management that works best for you, but most importantly, that works best for the children you care for. If it works for them, it will work for us too. Yvette Stanley is Ofsted's National Director for Social Care. Follow Yvette on Twitter. You can keep up-to-date with social care news at Ofsted by signing up for email alerts. You can also follow Ofsted on Twitter.